Breitbart News executive chairman Steve Bannon. (Stephen Crowley/The New York Times). A race absolutely alien to God has invaded the land of the Christians, has reduced the people with sword, rapine and flame. Just a few days later, Bannon returned to his old position at Breitbart News, an alt-right online publication, as executive chairman. “The populist-nationalist movement got a lot stronger today,” Breitbart News editor in chief Alex Marlow said in a statement. “Breitbart gained an executive chairman with his finger on the pulse of the Trump” administration. Bannon is still a driving force behind President’s Trump populist agenda. (Mandel Ngan/AFP/Getty Images). An additional threat comes from a “brutal” form of capitalism, one driven by state-sponsored cronyism and private commodity driven output, that has supplanted the Judeo-Christian method of “enlightened capitalism”. 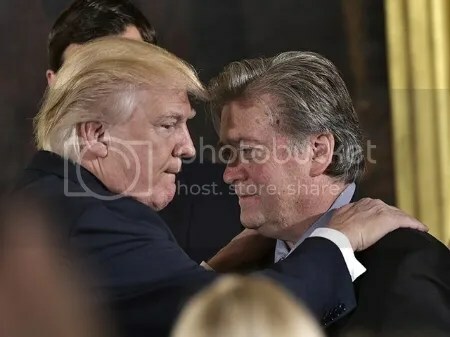 As a member of President Trump’s staff, Bannon lobbied for the Muslim travel ban, and loudly voiced his desire to destroy the ‘administrative state’, an amalgam of institutions he sees as culpable for the destruction of ‘enlightened capitalism’. Furthermore, Bannon has applied his ideology using a Leninist-type revolt based on suppression and undemocratic principles. Just days after seizing power in Russia, Vladimir Lenin employed combative, and at times brutal, tactics to further his revolution. He censored the press, and violently denounced his critics in effort to “destroy” and remove them “from the face of the earth”. Bannon uses a similar tactical approach when executing his populist ideology. Just months into the Trump administration, Bannon told the New York Times that the media should “shut up” and was the “opposition party”. As he left the White House, Bannon referred to himself as “Bannon the Barbarian” and vowed to “crush the opposition”. 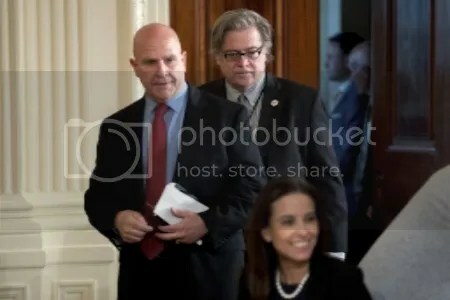 Bannon clashed with several members of the administration, including National Security Advisor HR McMaster. (Associated Press). 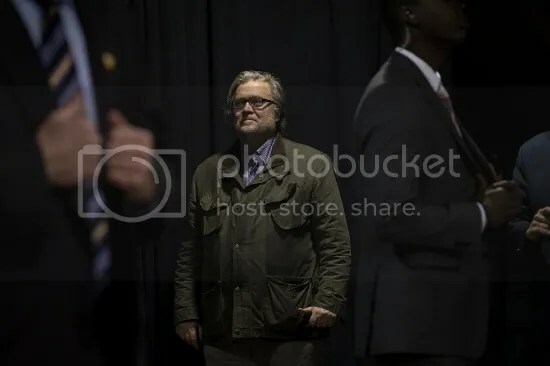 Throughout his 2014 speech, Bannon lamented the destruction of Judeo-Christian values, and vowed to restore the culture to its previous state of prosperity. Nowhere in that speech, however, does Bannon include ethnic groups outside of middle-class Judeo-Christians- a notion that implicitly excludes all people besides those with historical roots in Judaism and Christianity. It is within Bannon’s message, and his ethnocentric howl for revolution, that we find the danger in his populist ideology. Indeed, Bannon veils his worldview of global ethnic dominance with a more palatable message- one of war against terrorism and economic inequality.